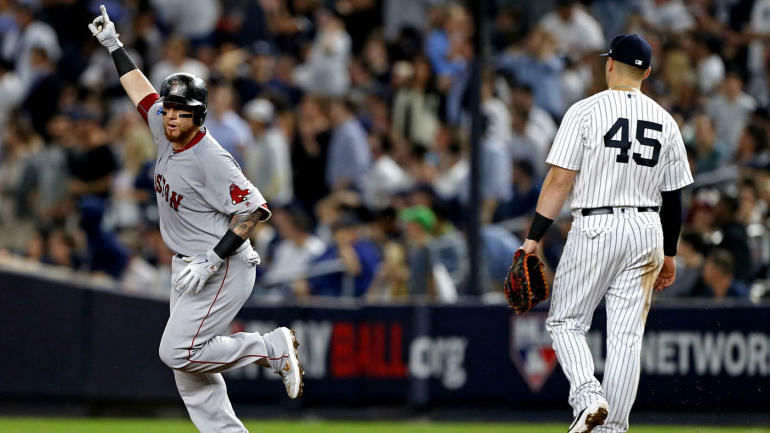 The Boston Red Sox eliminated the New York Yankees from the 2018 postseason on Tuesday at Yankee Stadium with a 4-3 win to advance to the ALCS. Red Sox starter Rick Porcello allowed just four hits and one run in five innings, and the Red Sox bullpen allowed just one hit over the final four innings to earn the victory. Boston’s Game 4 win completed a 3-1 series victory in the American League Division Series. The Red Sox will now face the Houston Astros in the 2018 American League Championship Series, starting at 8:09 p.m. on Saturday, October 13th.